Products and services B2C | CGS Customer Ground Service Ltd.
further assistance and advice on visa issues, car rentals and insurance. Please contact us for your travel bookings and requests at www.ticketpoint.ch or visit our Zurich and Geneva Airport ticketpoint desks. We’ll take care of your baggage in order to make your journey as pleasant and straightforward as possible. With our individual and group travel services, bulky items included. order our services quickly and easily via our porter hotline, even at short notice. pre-departure services from anywhere at the airport on request. post-arrival services from the aircraft or the baggage hall. Please order our services as early as possible. Services can be guaranteed if ordered at least one day in advance. Same-day requests may involve waiting times. Had enough of packed restaurants and gate areas as you wait for your flight to board? 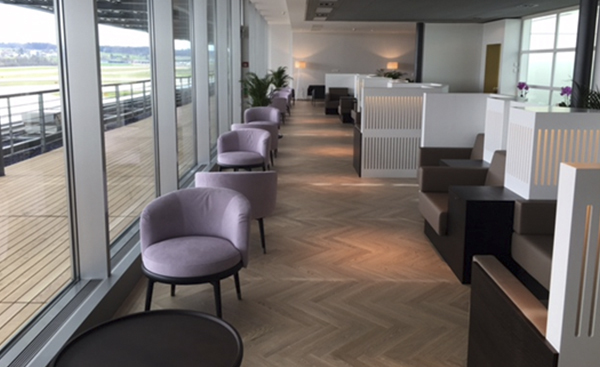 CGS offers three Business Class Lounges at Zurich Airport that you can make use of regardless of who you’re flying with and your class of travel. So why not treat yourself to a little pre-departure luxury? Whether you find it hard to make your own way around or are a youngster travelling alone, we’ll look after you before your flight or after your arrival, taking care of all your particular needs to make your journey as smooth and worry-free as we can. 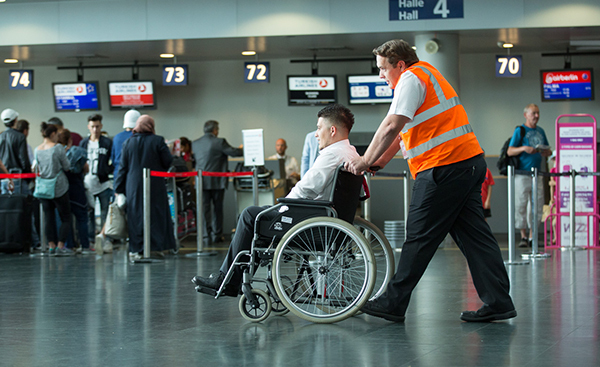 For personal assistance services at Geneva Airport, please contact the airport or your airline directly.